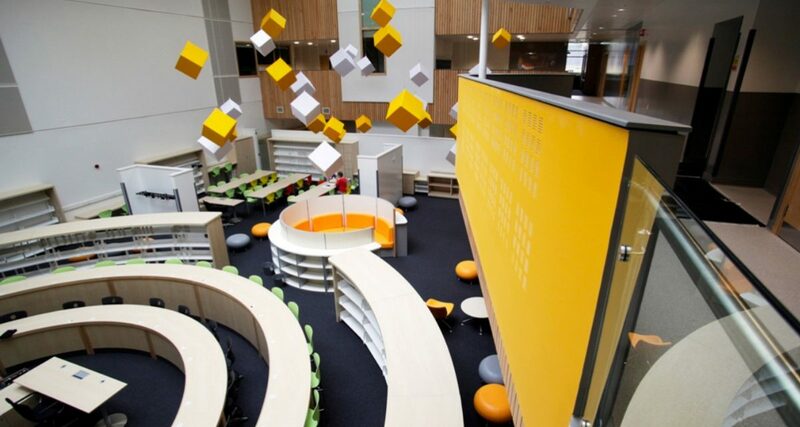 The school design is based on the learning hub concept.A concept is born of the idea of the school’s teaching spaces wrapped around an open central atrium “heart space” which combines teaching, learning and social space – a focus for the entire school community. The internal planning grid is such that it allows scope for future flexibility and adaptability of layout. All classrooms are well proportioned, have good natural light and views out to a parkland setting. All rooms are within easy reach of the “heart space” defined by a circulation loop which is to a large part an open balcony activating the upper floors of the atrium creating a vibrant and dramatic school environment. Within the brief, there were requirements to achieve a highly air tight building with fabric performance in excess of the minimum requirements. Further to this brief the school achieved an EPC A rating without the inclusion of LZCT and BREEAM ‘Excellent” rating. DSSR were responsible for the full M&E Design and BREEAM Assessment. The teaching spaces are all mechanically ventilated utilising central AHU’s openable windows are also provided to supplement cooling during the summer period. 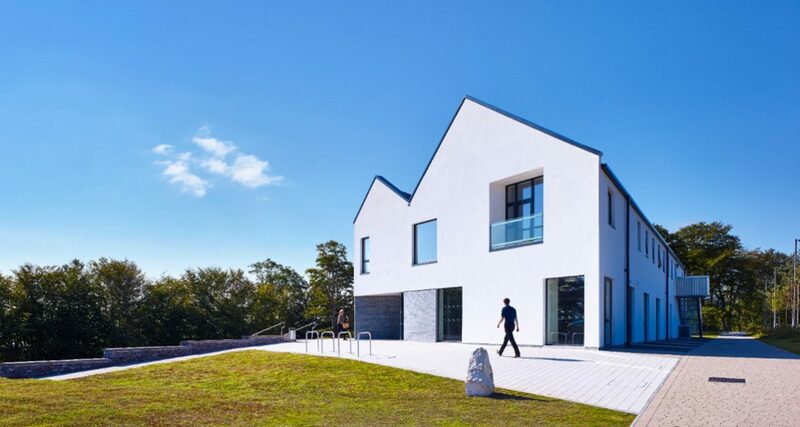 The building incorporates passive features such as exposed thermal mass & night cooling together with free cooling on AHU’s when possible, thus minimising requirements for mechanical cooling which is limited to IT classrooms and the like.